University of Arkansas head women’s basketball coach Mike Neighbors announced the addition of Todd Schaefer as an assistant coach for the Razorbacks in early April 2017 shortly after taking over at his alma mater. Schaefer worked with Neighbors one season at Washington. He joins Arkansas native Amber Shirey, who will remain the team’s director of operations, on Neighbors’ staff. Schaefer worked with Neighbors one season at Washington where the duo guided the Huskies to their second consecutive Sweet 16 appearance. Schaefer, who is known for his development of guards, worked with the NCAA’s all-time leading scorer and single-season free throw record-holder Kelsey Plum in 2016-17. 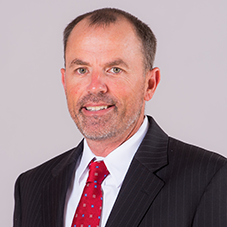 Prior to joining Neighbors at Washington, Schaefer spent three seasons in the SEC at Ole Miss working with the Rebel guards and wing players. In a similar fashion to Neighbors, Schaefer mentored Ole Miss guard Shandricka Sessom, improving her scoring output from 5.3 points per game as a freshman to 15.6 ppg the following year. In addition, Schaefer assisted three-point leader Torri Lewis set the Tad Smith Coliseum single-game record with 10 three-pointers in a nonconference win in 2015-16. Lewis is just one of two players, men’s or women’s, to record double-digit threes. Schaefer is also no stranger to the Natural State having coached at Arkansas State where he worked with the perimeter players, scouting and handled video. His 22 years of coaching experience include coaching stops at Greenbrier (Arkansas) High School, the University of Cincinnati (2007-09), three seasons at Arkansas Tech, including two as the head coach from 2005-07. While head coach at Arkansas Tech, he led the Golden Suns to a road victory over the top-ranked team in Division II basketball and a berth in the 2007 NCAA Division II Regional Tournament. He also spent 1999-2004 as the head coach at Christian Brothers University in Memphis, Tenn., where he led the Lady Buccaneers to their first-ever berth in the Gulf South Conference Tournament. Four years later, Schaefer directed CBU to the GSC West Division title and to the NCAA South Regional Tournament for the first time in school history. Other coaching stops include head coach at Allen County Community College and two seasons as an assistant at Western Illinois. A native of Cincinnati, Ohio, Schaefer earned his bachelor of arts degree in English at Thomas More College in 1995 while working as a student assistant basketball coach and playing on the football team. He and his wife, Lisa, have three sons, Landon, Will and Jake.